1. 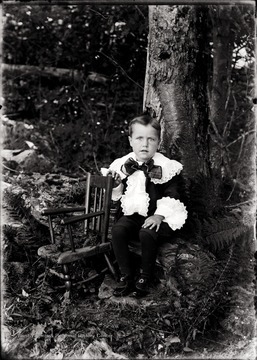 Portrait of Herbert Shock, Son of Photographer U. C. Shock , of Helvetia, W. Va. Portrait of Herbert Shock, Son of Photographer U. C. Shock , of Helvetia, W. Va.
A portrait of Herbert Shock near a chair in Helvetia, W. Va.
2. Portrait of a Child, Helvetia, W. Va. Portrait of a Child, Helvetia, W. Va.
3. 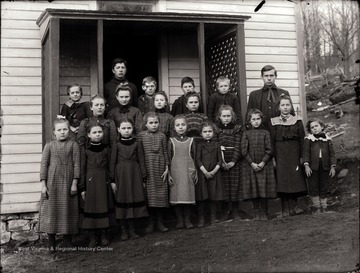 Portrait of Children, Helvetia, W. Va. 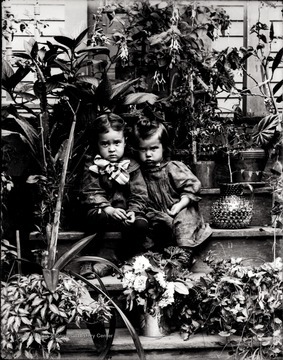 Portrait of Children, Helvetia, W. Va.
4. Group Portrait of Men and Women Outside, Helvetia, W. Va.
Group Portrait of Men and Women Outside, Helvetia, W. Va.
5. Portrait of Child, Helvetia, W. Va. Portrait of Child, Helvetia, W. Va.
6. 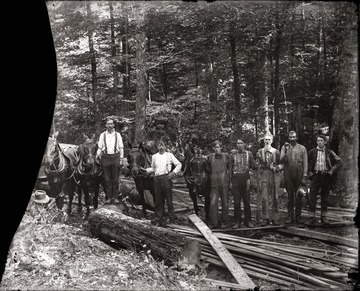 Loggers and Horse Teams, Helvetia, W. Va.
Loggers and Horse Teams, Helvetia, W. Va.
7. 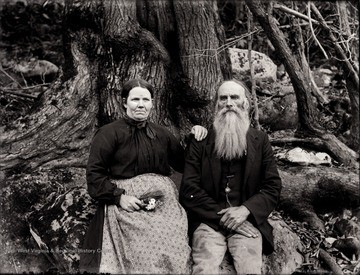 Man and Wife, Helvetia, W. Va.
Man and Wife, Helvetia, W. Va.
8. 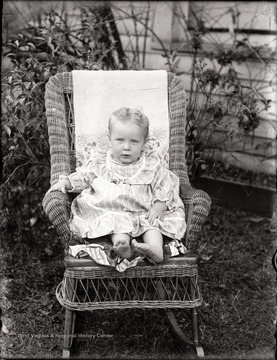 Portrait of an Infant, Helvetia, W. Va. 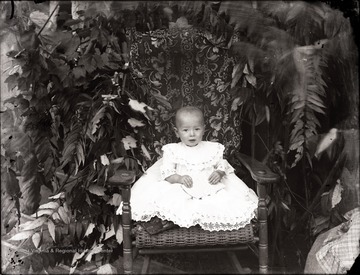 Portrait of an Infant, Helvetia, W. Va.
A portrait of child in a wicker chair against foliage, Helvetia, W. Va.
9. 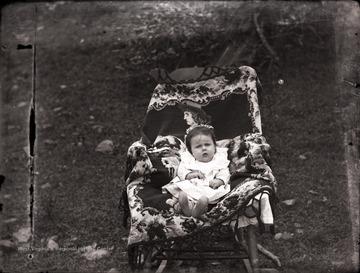 Portrait of Infant Seated in a Chair near a Rock Outcropping, Helvetia, W. Va. 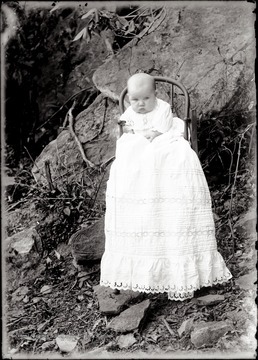 Portrait of Infant Seated in a Chair near a Rock Outcropping, Helvetia, W. Va.
10. 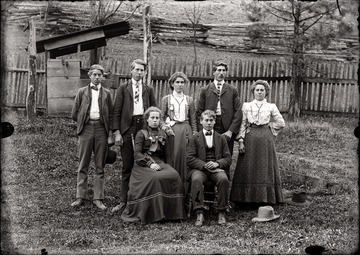 Class Portrait, Helvetia, W. Va.
Class Portrait, Helvetia, W. Va.
11. Portrait of Child, Helvetia, W. Va.
12. 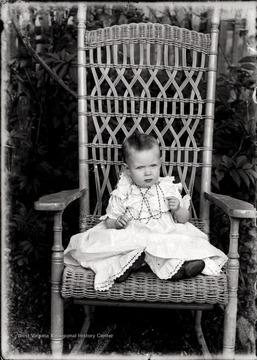 Portrait of Girl next to a Baby Carriage, Helvetia, W. Va. 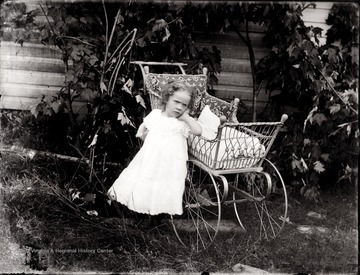 Portrait of Girl next to a Baby Carriage, Helvetia, W. Va.